We are seeking nominations for the Cultural Program for 2017 BCSM Durga Puja held during 23rd & 24th Sep at the Hindu Temple of Wisconsin. There will be a One-Act Play and other musical programs. bcsm.cultural@gmail.com by 7th August and let us know what you want to do. Based on that, our cultural team will communicate with you regarding details and availability and send the final confirmation. Looking forward to see some new talents within us. Note: Preference will be given to members and their families for the cultural programs. As we are preparing for Poila Boishak and Rabindra Jayanti celebration, we are cordially inviting you & your family to participate in this event. We are also looking for nomination for cultural events for both adults & kids. If you are interested in participating please send your request to us by replying to this email asap. Selection will be based on first come first serve basis. Last date to notify us is March 28th. Both Group performance & solo performance are welcome based on available slots. We will have a total time of 45 min – 60 min allocated for the cultural event. Members will be given first preference. Registration fee : (Food is included): Registration is mandatory for all. Registration is free for children below the age of 5. Thank you all and looking forward to your active participation. Below are the Upcoming Event Dates for 2017-2018. More details to follow. The Bengali Cultural Society of Milwaukee (BCSM) invites you, your family and friends to celebrate Saraswati Puja at the Hindu Temple on Saturday, “4th of February”, 2017. ( ksn_acharya2001@yahoo.com ) or Prithwiraj Banerjee ( pbanerjee1109@gmail.com ). The Hindu Temple of Wisconsin auditorium, where our Puja will be held, has a maximum capacity of 325, including children of all ages. BCSM will stop taking registration when we reach the 300 mark. Please come early and register, to avoid disappointment. Registration is mandatory for this event. Please be aware that HTW will also have other devotees in the premises apart from our Durga Puja. BCSM requests that all Durga Puja visitor to observe the existing fire codes and do not block any entry or exit and observe all parking regulations. This will ensure that fire trucks and paramedics have full access to the facilities in case of an emergency. Your co-operation will immensely help in making this event safe and successful. Grill & Chill in Bengali Way!! The BCSM 2016 Annual Picnic will he held at Minooka Park on August 14, Sunday. All of you, your family and friends are cordially invited. Let us enjoy the short Wisconsin summer and have some fun together. We can assure great food and fun time. You must have received an Evite from BCSM, if you haven’t, please contact any of the board members. 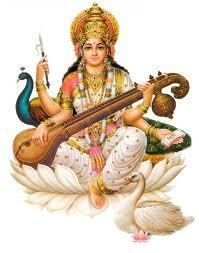 BCSM is celebrating Saraswati Puja at the hindu temple (N4063 W243 Pewaukee Road, Pewaukee, WI- 53072) on Jan 24th 2015. The event will start with Pujo at 10 am followed by prasad distribution at 12:30 pm. The pujo and prasad are free for all attendees. There will be an entry fees for all the events after the prasad distribution. The lunch will be provided at 1 pm and will be cooked at the temple by families. We will not be holding out General Body Meeting this year on this event and will be held at a different day and invitations will be sent to the BCSM members. There will be a children’s drawing competition, followed by a great cultural program at 4:30 pm and dinner at 6:30 pm. The entry fees this year is $15 (BCSM members), $20 (Non members), $10 (Children 6-12 yrs accompanied by parents), and free for children below 6 yrs. Lunch only would be $10 for members ($12 for non-members) and dinner would be $8 for members ($10 for non-members), if bought separately. The entry fees would be $5 for lunch and $5 for dinner for children, if bought separately. We encourage all the attendees to pay entry fees and enjoy the great food and cultural program. During Saraswati Pujo, we start our new membership drive and the membership stays valid for one year. The membership fees is a token of your involvement in the community and keeps the community alive. We encourage all the current members and new people to become BCSM members and support the community. at the Hindu Temple in Pewaukee. Children upto 6 yrs free, Children 13yrs & up pay Adult rate. Contact : Amitava Sengupta (amitava.sengupta@gmail.com) Tel. : 262-719-9260 mobile. Kishore Acharya ksn_acharya2001@yahoo.com Tel. : 262-389-5684 mobile.